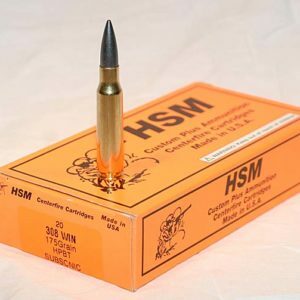 This is a made for Sniper Central exclusive loading. 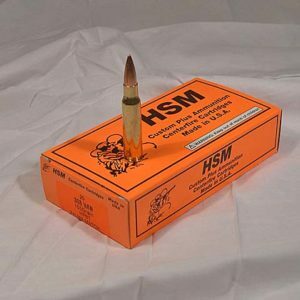 This load uses the legendary Lapua D46 FMJBT bullet. 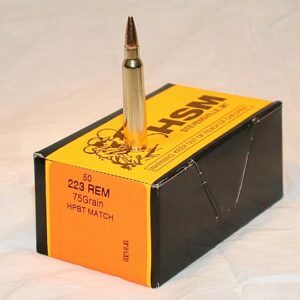 Using modern powders HSM is able to push this 185gr bullet at 3100 fps at the muzzle. 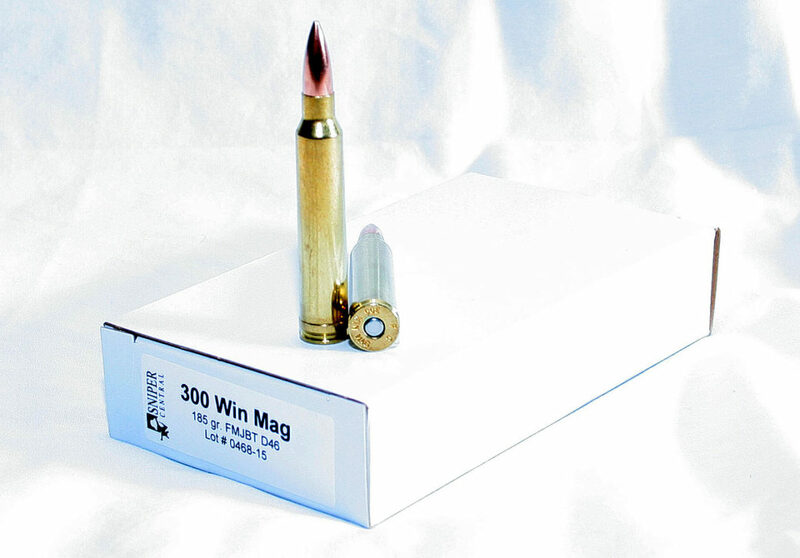 With these velocities the bullet remains supersonic to 1500+ yards and has significantly less drop than the 190gr SMK at 2950 fps and even less drop at 1500 yards than the new Mk248Mod1 220gr SMK load @ 2880 fps developed for the US Army. 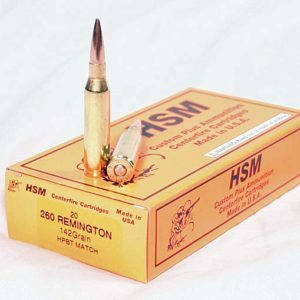 This ammo is loaded to match grade standards with very good accuracy.